Yoga is a group of physical, mental and spiritual practices or disciplines which originated in ancient India. The physical practice of postures is called “Asanas”. Our life has become stressful due to various reasons like workload, work pressures, excess use of electronic devices and many more. This badly impacts not only our body but mind. This results in having various health-related issues like blood pressure, hypertension, addiction and many more. Due to this our lifestyle gets disturbed. Yoga is the answer to this and it has the power to overcome these problems. Yoga is well-designed exercise program increasing general health and stamina, reducing stress and improving those conditions brought about by sedentary lifestyles. It also helps in maintaining proper weight, cardio health. It improves respiration, energy, and vitality. Yoga is a physical therapy to strengthen and balance all parts of the body as well as mental health. 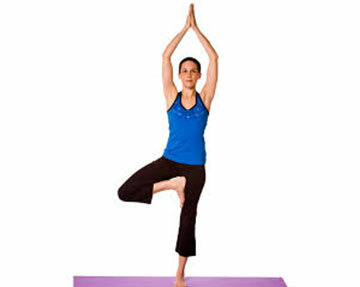 This program is designed specially to teach basic and mid-level Yoga Asanas (postures). Classes will be conducted by certified, experienced and professional Yoga trainer. Classes will be conducted 3 days a week in the morning from 7 am to 8 am. On the first day basic orientation will be given followed by an introduction to Yoga and then for 3 days, you will learn various Yoga Asanas. In addition to the Asanas, you will also get information about diet and nutrition. Once you are back you will continue Yoga for a long term benefit.